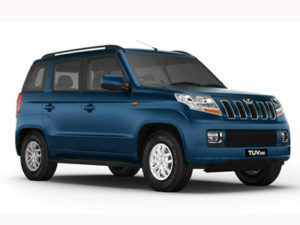 The design of the TUV300 is perhaps a complete reversal from what we have seen so far in Mahindra vehicles. 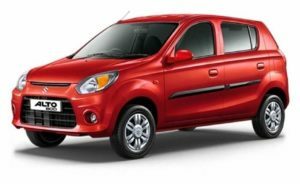 Seriously, it is one of the improved designs that has rolled out by Mahindra’s design and engineering team in so many years. Reasons? 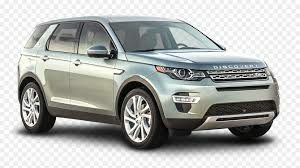 It’s not excessively designed and sprinkled with ornaments of XUV500 and Scorpio. In fact, with the squared-out design inspired from battle tank, brawny haunches and prominent wheel arches, this SUV fit the right prospects when it comes to flexing muscles off road. The front profile is dominated by typical multi-slat grille and well-designed carbon black finished headlamps that gel nicely with the overall design. The headlamps shows some traits of Bolero while the rectangular shaped fog lamps gets black chrome inserts boasting of a great combination of macho and manliness of the car. Come to the side and you will see how dexterously, Mahindra has hid the boxy appearance of the SUV. For instance, the D-pillars have been blacked out to give it a floating roof while the B and C pillar have been raked back along with thick shoulder line lending it some character. There are straight lines and sharp angles that run across the length. The way 15-inch wheels have been designed is really appreciable, though they are puny in appearance. Instead, Mahindra should have used 17-inch wheels on this SUV just like in other cars such as Scorpio and XUV500. The understated design of the front is carried forward at the rear with majority of the focus on huge spare wheel mounted on the tailgate. The tail lights and the rear bumper are vertically placed which is nice but the rear steps looks like an eyesore. Step inside you will see how drastic transformation the carmaker has done to enrich the in-cabin experience. It is arguably the best interiors you will see in a Mahindra vehicle. There isn’t any silly plum finished plastic and desperately designed air cons here, but a nicely designed dashboard draped with dual beige and grey combination. The TUV300 follows the traits of other cars launched in the past couple of years by using glossy back plastic console for the infotainment system at the centre. Other parts of the cabin including the door handles and the AC vents are adorned in aluminium finished silver plastic.The apt placement of buttons on the central console shows the minimalistic approach of the carmaker. Especially, the way the top beige layer of the dashboard shelters or say surrounds the center console and instrument cluster without breaking the lines, is truly awesome. The quality of the plastics and the fit and finish shows that Mahindra needs some serious business here. The faux leather seats give a more comfortable experience to the occupants. Coming to the space, the cabin is remarkably good in terms of headroom, legroom and shoulder room. However, the front seats that come with lumbar support are slightly on the firmer side and will not entertain passengers on long journeys. The carmaker could have added more padding around the lower regions. The bench seats at the rear too come with ample space and can absorb three adult passengers with enough legroom. But here again, they will not prove comfortable for longer distances due to lack of thigh support. Then there is third row which can also snug in 2 adult occupants but still not best for longer journeys. In terms of storage, you get plenty of bottle holders and cubbyholes in the cabin along with a huge illuminated glove box which is practically helpful in storing knick knacks. Talking about the equipment, Mahindra has given a lot. The car comes with 7 inch touchscreen infotainment unit that comes with GPS, Bluetooth, USB photo/video viewer, voice messaging system as well as iPod support and 4-speakers to add more to the music experience. The reverse parking sensors relays relevant feeds on the screen. 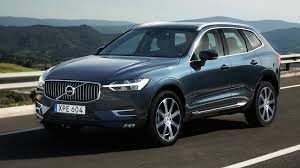 Other comfort feature in the car include height adjustable driver seat, internally adjustable ORVM, steering mounted audio controls, follow me headlamps, rear wash/wipe and second row full seat fold. The Mahindra TUV3OO has a certified fuel efficiency of 18.49 kmpl both, manual and AMT versions. 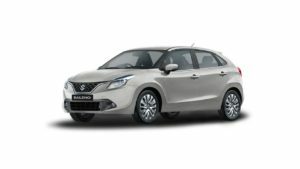 These figures are acceptable for a compact SUV and are comparable with the segment.Fuel economy on offer stands at 18.49 kms in a litre which is commendable for a SUV. Like other Mahindras, this one too comes with a micro hybrid technology which includes a start-stop function. This feature in turn aides towards enhanced fuel economy. Besides, there is an option for eco mode too, that again enables increased efficiency. The TUV3OO from Mahindra comes with ABS (Anti lock Braking System) with EBD (Electronic Brakeforce Distribution), dual front airbags and ISOFIX mounts for child seats on all variants except the base T4 trim. 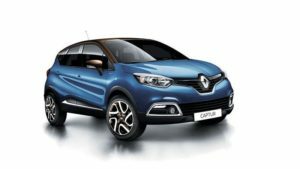 Standard features include a digital immobiliser, collapsible steering column, seat belt reminder, auto door lock when the vehicle is in motion and side intrusion beams. 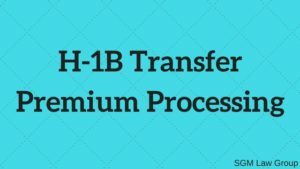 H-1B holders can expedite the transfer process through premium processing. Premium processing will be able to provide a USCIS decision within 15 calendar days for a fee of $1,225. However, it is important to note that premium processing does not guarantee that your transfer petition will be accepted. It only speeds up the processing time for your petition, nothing more. If you are transferring from a cap-exempt to a cap-subject employer, then you will need to be entered into the H-1B lottery. In this case, premium processing will also not guarantee you a spot in the annual cap or otherwise exempt you from the lottery. The USCIS has recently announced that it will not be offering the premium processing service for all H-1B visa petitions for up to six months. This includes not only new H-1B petitions, but also petitions filed for H-1B extensions, H-1B amendments, and H-1B transfers. A. The premium processing form I-907 was filed before April 3, 2017. The reason for this temporary suspension is so that the USCIS can address some petitions that have been pushed aside due to the increasing number of premium processing petitions being filed. Interested in revalidating or extending your H-1B visa? As a general rule of thumb, a United States visa is typically revalidated if you have the same classification in your passport as that which you’re trying to extend (or revalidate). Say you’re trying to get an H-1B visa but are currently in a different category. They will then write the validity period in the country on your I-94, which is basically the date in which your can stay legally in the U.S. until. At that point, you should file for an extension of stay as soon as possible before the duration of status expires. Although it may vary from case to case, processing for an H-1B transfer typically takes 4-8 weeks after the application has been submitted to USCIS. Other factors that affect the H-1B transfer process length is the location of employment and which USCIS processing center is responsible for the application. If you find that customers are reluctant to contact your business over phone because of the phone call charges, the easiest way out for you is to opt for a toll free phone.Having a toll free number lends your business a corporate image and greater credibility. Prospective customers will develop a sense of confidence when dealing with you. Once you possess a toll free number, you straightway acquire a level playing field with big corporations. Please know that much of the success of your business depends on your image and brand recognition.As people will start making call to your company without inhibition, your customer base will enlarge leading to increased sales and concomitant profits. Several studies have conclusively shown that mentioning a toll free number in a trade advertisement elicits 40 percent more response than the ones that does not provide toll free numbers. The plain truth is toll free numbers motivate prospective customers to call your business, because they are not required to pay the call charges. Even your existing customers will call you more frequently and this will help you build strong customer rapport. A toll free number makes it easier for your customers to reach you and get their queries about your products/services answered. Many marketing professionals agree that toll free numbers help CRM (Customer Relations Management). 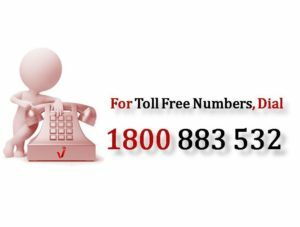 It will be much easier for your customers to remember your toll free number if you opt for a vanity number. The vanity number will also contain a word broadly indicative of your brand or type of business. For instance, if a florist has a vanity number like 1-800-Flowers, it is lot easier for a caller to remember than a toll free number like 1-800-356-9377. Customers are more likely to call you with a vanity number and that will possibly generate more sales and more than compensate the incoming phone charges you will pay. With the recent release of 855 numbers, there are more vanity numbers currently available. Toll free numbers are also easy to install and come with a host of useful features and bonuses. These include audio conferencing, voice notification, call recording, call forwarding, automated attendant etc. Toll free numbers come in five different matrices – 1-800, 1-888, 1-877, 1-866, and the newest, 1-855. These toll free number codes are only seemingly different but function in the same manner.When obtaining a toll free number for your business, you must understand how important your new toll free number will be to your business, in what different ways it will serve your customersPsychology Articles, and how useful it will be to your branding efforts. Consider how these disadvantages of cloud computing could affect your small business. 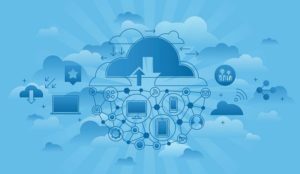 Cloud computing makes your small business dependent on the reliability of your Internet connection. When it’s offline, you’re offline. If your internet service suffers from frequent outages or slow speeds, cloud computing may not be suitable for your business.Another thing to consider is how dependent your business would be on cloud reliability – even the most reliable cloud computing service providers suffer server outages now and again.As described in CRN’s The Biggest Cloud Outages of 2015 on May 20th, 2015 Apple iCloud had a seven-hour outage that affected email and various other cloud services such as iCloud Drive, Documents, etc. Can your business function in the event of a prolonged outage of your cloud services? How safe is your data? Cloud computing means internet computing. So you should not be using cloud computing applications that involve using or storing data that you are not comfortable having on the internet.Established cloud computing vendors have gone to great lengths to promote the idea that they have the latest, most sophisticated data security systems possible as they want your business and realize that data security is a big concern; however, their credibility in this regard has suffered greatly in the wake of ​NSA snooping scandals.Keep in mind also that your cloud data is accessible from anywhere on the internet, meaning that if a data breach occurs via hacking, a disgruntled employee, or careless username/password security, your business data can be compromised.And more data breaches are happening to more supposedly secure companies all the time. You would think that the IRS, for instance, would have one of the most secure systems of all, but even they experienced an IRS data breach in 2015.But switching to the cloud can actually improve security for a small business, says Michael Redding, managing director of Accenture Technology Labs. “Because large cloud computing companies have more resources, he says, they are often able to offer levels of security an average small business may not be able to afford to implement on its own servers” (Outsource IT Headaches to the Cloud (The Globe and Mail).As a small business owner, you have to decide if the levels of security a cloud computing company provides offset the potential security disadvantages of cloud computing. At first glance, a cloud computing application may appear to be a lot cheaper than a particular software solution installed and run in-house, but you need to be sure you’re comparing apples and apples.Yes, cloud applications (also known as Software as Service applications or Saas) do not require large capital investment for licenses or support infrastructure, but does the cloud application have all the features that the software does and if not, are the missing features important to you? Having to customize your cloud-based software to suit your needs can add greatly to the cost. If you use custom-developed in-house software, it may not be possible to move it to the cloud without an expensive re-write – definitely a disadvantage. To be sure you’re saving money, you have to look closely at the pricing plans and details for each application, taking into account possible future expansion.For example, the president of a non-profit organization that recently switched to a cloud-based membership application found that when their membership numbers recently exceeded the limits on their contract the price to go to the next tier was nearly double. Like cell phone plans, the devil can be in the details with cloud service contracts. If your business involves transferring large amounts of data, be aware that while transferring data to the cloud (inbound) is free, outbound data transfers over the basic monthly allowance are charged on a per GB basis.If your business requirements will include regularly downloading large amounts of data from your cloud applications or data storage, the additional costs can add up. (See, for example, Microsoft Azure data transfer pricing. )Fortunately, cloud computing is a very competitive business and costs are generally decreasing, so check current pricing. The inflexibility of some cloud apps can be another serious disadvantage of cloud computing. Be careful when you’re choosing a cloud computing vendor that you’re not going to become a “forever” customer because their applications and/or data formats do not allow easy transfer/conversion of information into other systems.Just ask someone who has gone through the painful process of migrating from one accounting package to another. As an even simpler example, you can’t insert a document created in another application into a Google Docs spreadsheet. Some vendors deliberately attempt to “lock-in” customers by using proprietary software/hardware, so that it is impossible or very expensive to switch to another cloud vendor.If you are considering a move to the cloud, make sure that your cloud vendor contract stipulates that you retain ownership of your data and that the vendor offerings conform to current standards.Also, make sure that you can easily (and inexpensively) add and subtract cloud computing users and data storage as necessary as your business grows or contracts. In this competitive world of business, it requires effective co-ordination and planning to exist successfully. It is seen that many small business entities take measures to create an outstanding professional image to impress their potential customers. But in most situations, little attention is paid to their telephone systems and even if they have a telephone number, proper management might be lacking, such as not answering the call or answering with vague details. A virtual PBX system for small business firms can help the small business organisations to present themselves as superior and exceptionally professional. In order to maintain a good communication system, small business organisations can opt for virtual PBX systems rather than premise based PBX systems, through which it is possible to maintain all the business communication requirements in an affordable manner. It is possible to achieve all the functions of a conventional PBX system without the installation of any PBX equipment at the site, because the service is offered by an Application Service Provider (ASP) and all equipments are kept at their site. A virtual PBX system gets rid of the necessity of employing a person to answer the incoming calls because it is provided with the auto attendant facility. Another significant feature of this system is the call forwarding, also known as find me, follow me call forwarding facility, which helps your employees to receive and answer the calls from any location. Through the call forwarding facility, it is ensured that the business organisation will not miss any incoming calls. 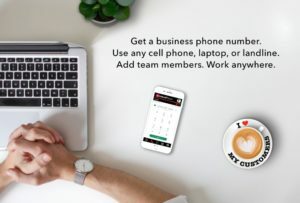 This virtual phone system for small businesses also features the voice mail system to help the customer leave messages in case the call could not be attended. Apart from these, it also has facilities such as on hold music, after hour greetings and many more so as to provide a professional touch to a small business organisation.In order to provide the customer with quality services and fault maintenance, all the service providers are making use of multiple PBX systems and extra equipements. These virtual phone systems are supplemented with automatic features to overcome the breakdowns, which can reversely affect the business organisation’s goals and its profits.A virtual PBX system can really help small businesses in acquiring a more enhanced outlookFind Article, so as to stay ahead in the competition.